Sodium bicarbonate, also called baking soda, is a naturally occurring, white crystalline powder, mined from beneath the earth’s surface. According to ENotes.com, the chemical and physical properties of sodium bicarbonate make this mineral, once refined, a suitable ingredient in a wide variety of products. Refining places sodium bicarbonate into one of five grade levels manufacturers can choose from, starting with a grade #1 fine powder and ending with large granules found in Grade #5. In addition, refining can also produce feed and animal grade sodium bicarbonate. Food products, such as biscuit, baking and cake mixes, frozen dough and bakery products typically use grade #1, 2 or 3 sodium bicarbonate as a leavening ingredient. To help baked goods rise, manufacturers add an acidic agent, such as lemon juice, to sodium bicarbonate. This combination leads to a release of carbon dioxide gas that absorbs into the product mixture and expands during the baking process. According to Drugs.com, sodium bicarbonate is a common ingredient in medications used to treat heartburn, acid indigestion or a sour stomach. In this capacity, sodium bicarbonate works to neutralize excess hydrochloric acid, also called stomach acid, by raising pH levels. Stomach acid has a pH of about 2.0, making it a strong acid. Sodium bicarbonate, which has a pH of about 8.1, raises pH to a more neutral 6.0 to 7.0. Products such as toothpaste and denture cleaners, bath beads and salts, baby and deodorant powders include sodium bicarbonate, mainly because of its odor neutralizing properties. In toothpaste, sodium bicarbonate also works as a mildly abrasive, whitening ingredient. When sodium bicarbonate combines with citric acid, as is typical in denture cleaners, the resulting foam helps loosen and dissolve particles from dentures, according to Dental-Professional.com. Cleaning products use the large granule, industrial grade version of sodium bicarbonate. Carpet deodorizers, dry bleach and detergent based cleaners take advantage of the odor neutralizing, mild abrasive and grease cutting properties of sodium bicarbonate. ENotes.com notes that mild abrasion allows sodium bicarbonate to clean without scratching, as well as turn up fatty acids present in dirt and grease, making it easier for soap ingredients to dissolve and water to rinse away, dirt and grease. You can find feed grade sodium bicarbonate mainly as a supplement ingredient in dairy cow feed and as a salt alternative in poultry food. According to NaturalSoda.com, sodium bicarbonate works in dairy cow feed in much the same way as antacids work in humans, as it helps reduce the acid content of rumen in the stomach. 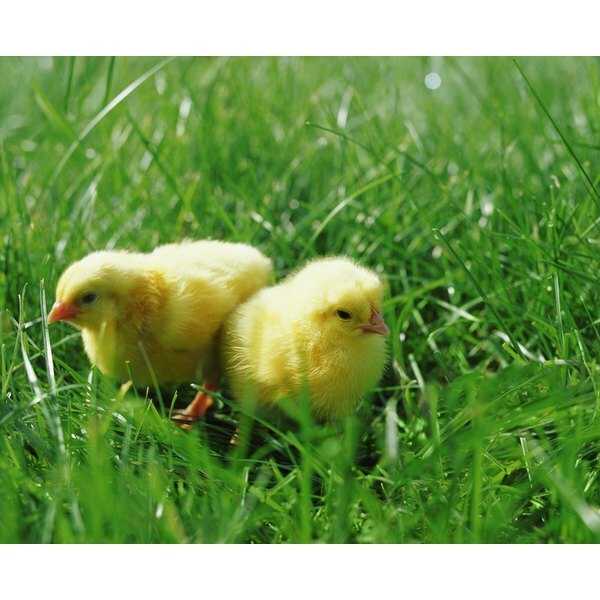 Sodium bicarbonate helps produce drier chicken litter, creating a cleaner and safer living environment.